On Friday I visited Washington State University in Pullman for the grand opening of the Jordan Schnitzer Museum of Art, a remarkable addition to both the campus and Eastern Washington for fans of visual arts of all types. The so-called "Crimson Cube" is a work of art in itself, its gleaming exterior designed, according to architect Jim Olson in his remarks at the ceremony, to "reflect the world outside" the museum, but most importantly, giving visitors a chance "to see ourselves in the building." Jordan Schnitzer was on hand as well, and passionately discussed his love of the arts that led him to donate a sizable chunk of change — $5 million — to create the new space, which features seven total gallery spaces and 10,000 more square feet of exhibition space than the old museum. 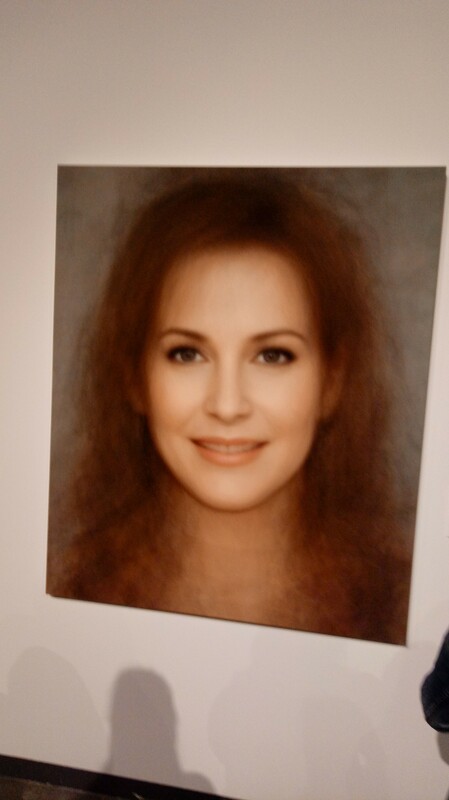 One of the spaces, the Harmon/Wright Gallery, currently features a show of works from Schnitzer's private collection until Aug. 4, and anyone with a taste for contemporary art will want to check it out. 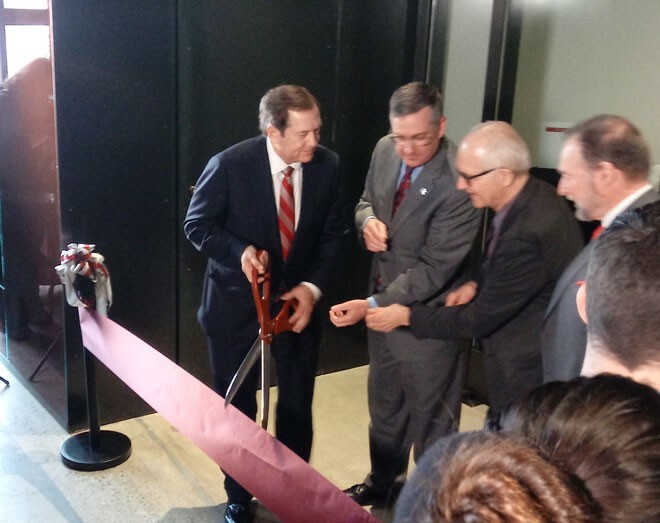 From left: Jordan Schnitzer, WSU President Kirk Schulz and museum architect Jim Olson see how many guys can hold one pair of scissors. Okay, they weren't really fighting. The whole vibe was mighty cheery for the hundreds of folks who glutted the new space's pavilion for the opening party. 1. 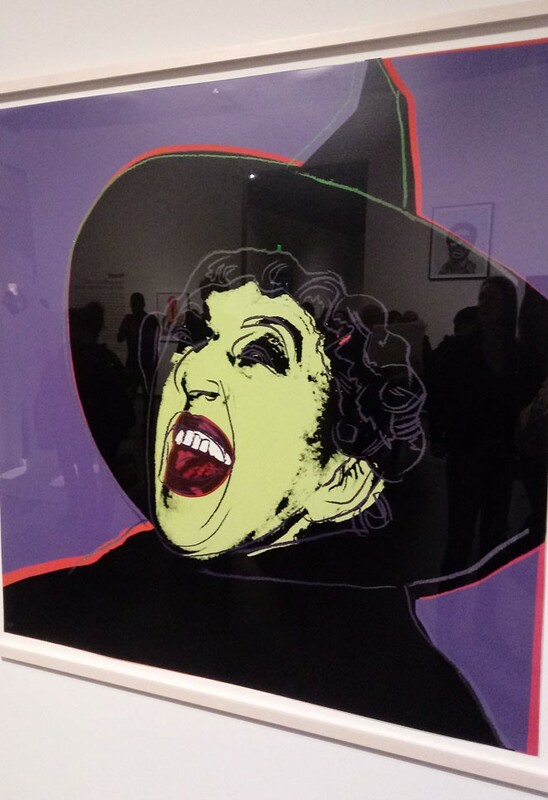 WITCH from Andy Warhol's Myth series. So colorful, so cool. 4. 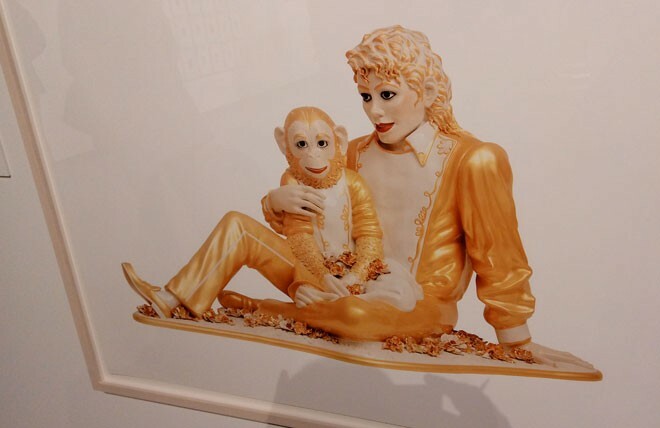 A print of Jeff Koons' MICHAEL JACKSON AND BUBBLES will resonate with anyone who watched the last episode of Atlanta, any MJ fans and any animal lovers. Maybe. 5. 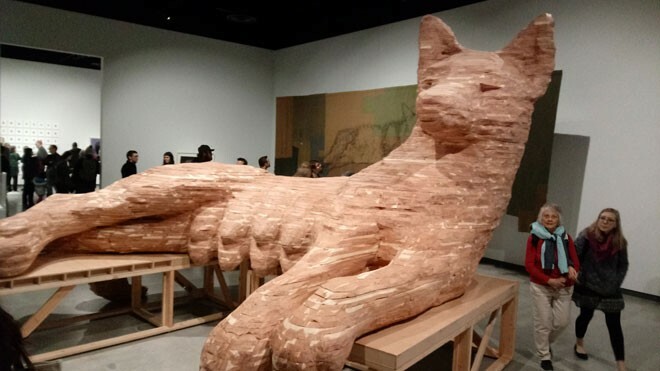 In the Creighton Gallery, the collective works in MARIE WATT: COMPANION SPECIES (UNDERBELLY) offer some remarkable sculptures and wildlife images. And this giant wolf! 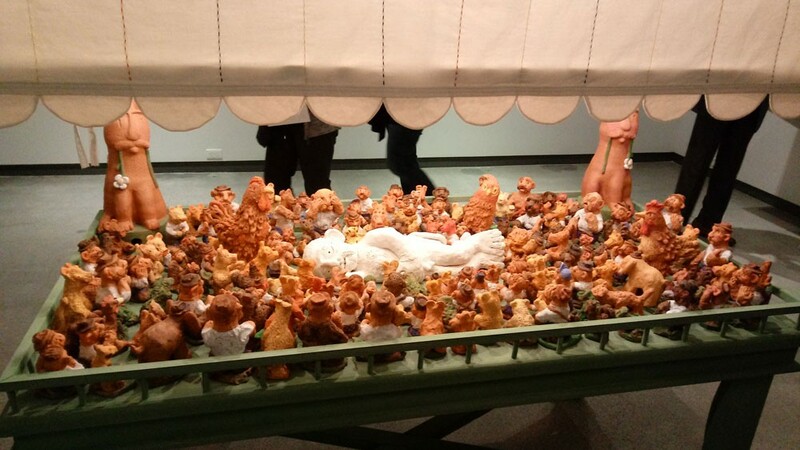 One of Marie Watt's works on display at WSU. The Jordan Schnitzer Museum of Art is open to the public Tuesday-Saturday 10 am-4 pm, and admission is free. It's located on WSU's Pullman campus next to the CUB, and you can find more information on the museum's website.